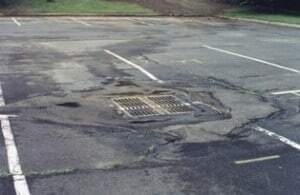 Do you have large parking lot potholes on your property in Bucks County, Montgomery County, Burlington County, Camden County, Mercer County, or Monmouth County? 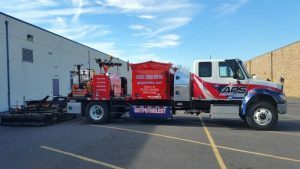 Asphalt Pavement Solutions, Inc. has the Solution! 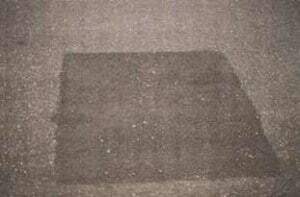 We are pleased to offer Infrared Asphalt Technology to our customers. 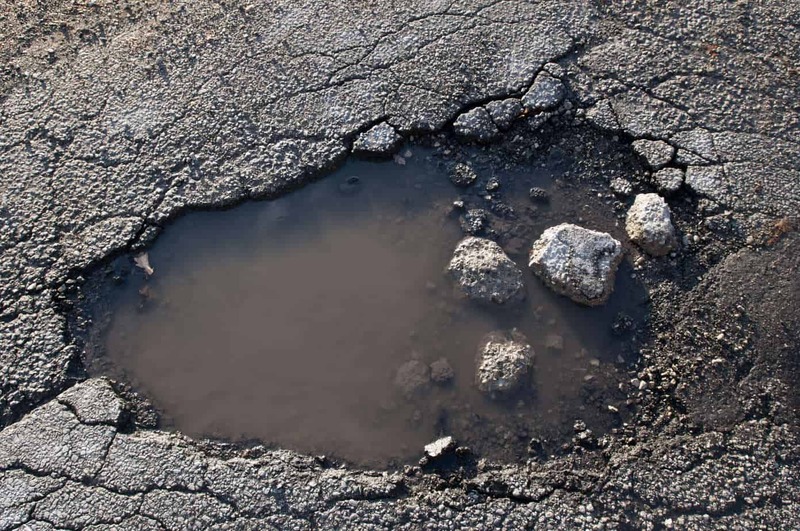 This is an efficient solution for year-round pothole repairs, utility cuts, rough surfaces, alligator cracks and bird baths which are permanent in nature as opposed to a temporary winter patch. 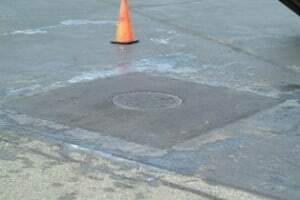 Emergency Utility and road repairs can also be performed. We are the Camden/Philadelphia pothole repair experts, offering infrared solutions throughout Pennsylvania, New Jersey and Delaware. 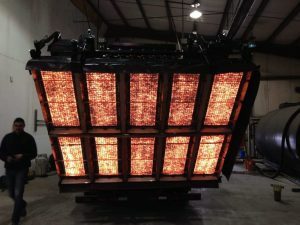 Infrared technology’s unique method blends existing asphalt which is heated up to and over 300 degrees with added hot mix, raked and compacted to create seamless restoration. Infrared repairs can be used in many situations and has many advantages over the customary saw cut, remove and replace method. Time Savings: This repair takes less time to perform. Less traffic disruption! Seamless Repairs: No saw cutting (no dust). New and existing seams blend in. No joints for water penetration. Traffic Issues: Traffic can be opened to traffic faster than traditional repairs. 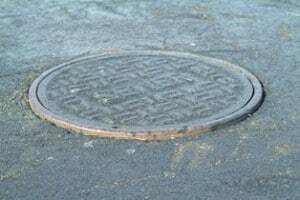 The pothole repair area will be cleaned by brooms and blowers. All loose aggregate will also be removed from the patch area along with any standing water. The surface will then be heated to over 300 degrees anywhere from 5-12 minutes based on climate conditions and depth needed. A typical repair will be from 2-3 inches. When the area to be repaired has gotten to the proper temperature, the edge of the repair will be raked. Once the perimeter of the repair is set, the entire repair area will be raked with any failed aggregate being removed. A rejuvenator will be applied to the patch area to replenish any lost oils because of oxidation. More hot asphalt material will then be added so the area can be raked and graded. The area will then be compacted with a multi-ton vibratory roller and/or a vibratory plate depending on the patch location. No edges need to be tacked because you now have a seamless repair. 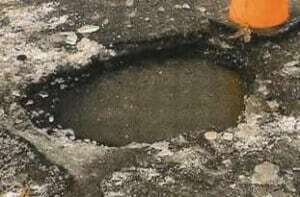 Note on all the pothole repair photos below, all of the edges are seamless, leaving no weak spots in the patch. 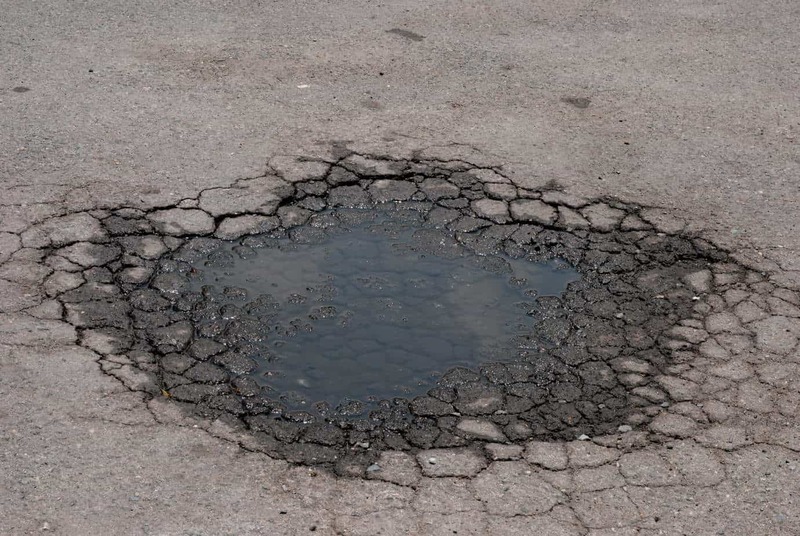 If large parking lot potholes are plaguing your property, look no further than out company. 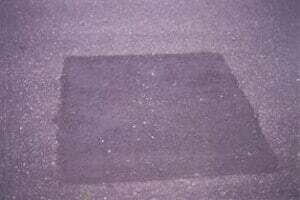 Asphalt Pavement Solutions brings you the best infrared technology pothole repair service available in and around Bucks County, Montgomery County, Burlington County, Camden County, Mercer County, and Monmouth County. 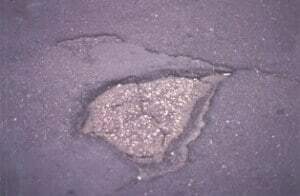 Contact us to inquire about pothole repair now. 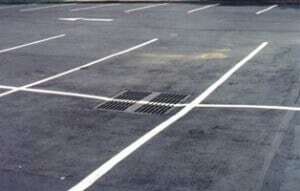 Please browse our site to learn more about our asphalt complex parking lot repair services, commercial parking lot repair services, or the shopping center asphalt repairs we can do. Asphalt Pavement Solutions - Serving All of New Jersey, Pennsylvania, and Delaware.